Please phone our Sales Team on 01380 821811 to discuss availability. Please click on the dimensions tab for full information. 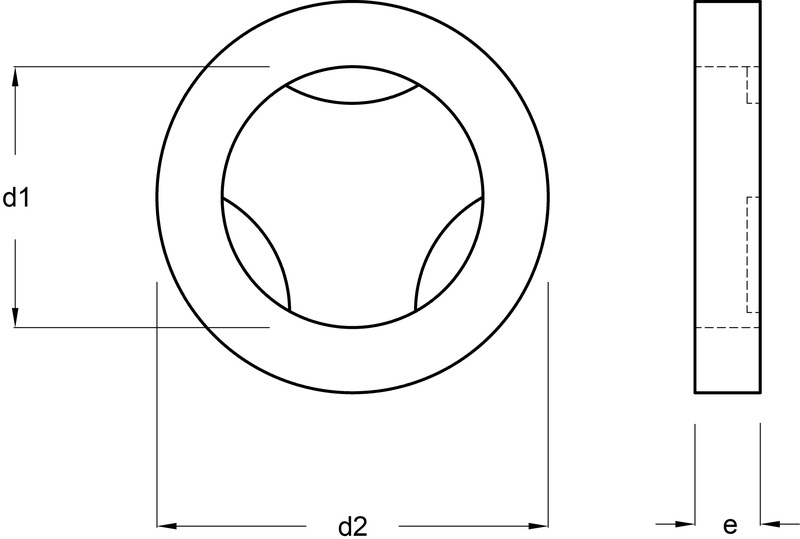 The d1 dimension is the inside diameter, the washer is made captive with the small fins as seen on the drawing. Dimensions are nominal and in mm.